2011 County Perfection Dressage Saddle. Excellent condition. Buffalo leather. External knee rolls. Prestige girth included. Padded stirrup leathers, flex stirrup irons, dust cover and padded saddle bag also included. 17 seat, wide tree. 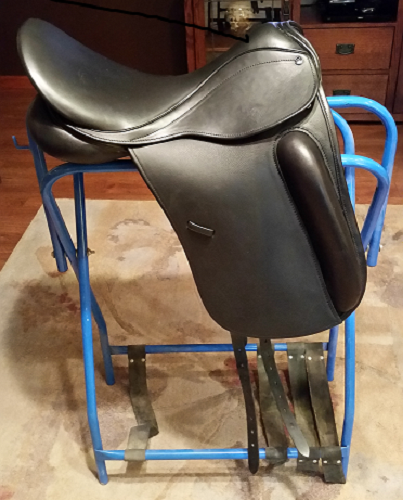 County Connection Dressage Saddle for sale. Includes irons and leathers. Price $1,495 includes shipping in continental US and is negotiable. Excellent condition.